A simplistic but neat design By Franky Morales & Sam Devins. 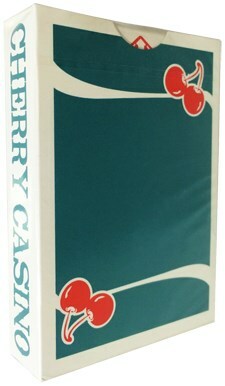 Printed by United States Playing Card Company on an Air Cushion Finish with crushed paper. ron asks: What do the Jokers look like? Is a double-backed card included? What does the Ace of Spades look like? Is being the thinnest cards a good thing? 1. Vanishing Inc. Magic responds: At the time of writing, this deck is no longer available. If it becomes available again, we'll be happy to look into this further.